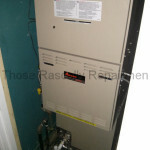 This furnace had a bad gas valve. The homeowner called Muridae Mechanical out to fix it. 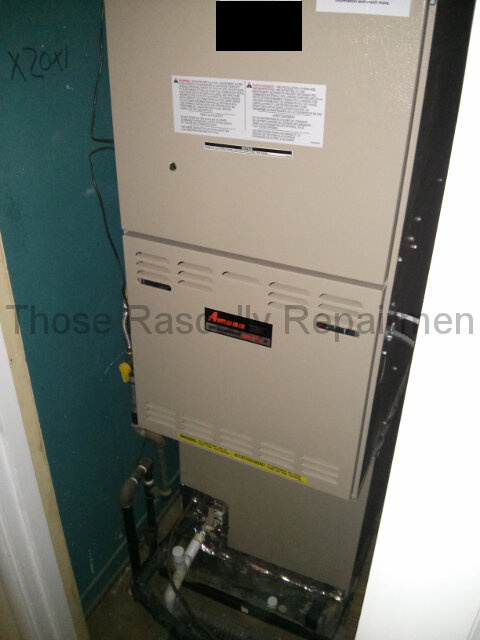 As repairmen replacemen are wont to do, they strongly recommended installing a new furnace. However, they reluctantly gave her a repair option as well. I’m sorry. Did I type “option”? I meant “options“, as in five repair options for her one failure. Four of them were cheerfully named Bronze, Silver, Gold and Platinum. One of them came with the decidedly less cheerful name of Band-Aid. What is a Band-Aid repair you ask? Muridae’s flyer describes it as a “Basic Fuel Delivery System Renovation”. It includes safety and performance testing and a generous three month warranty all for the low, low price of $611. What’s a basic fuel delivery system renovation I ask? I’m not sure, but it probably means they’re going to replace the bad gas valve. That valve takes about an hour to replace and costs about $55 wholesale. See for yourself. Oh snap… you can’t see because I went and made it all blurry. I’d love to show you the crystal clear photo I have of all five repair options, but there are copyright issues to consider. Since you haven’t contributed to my legal defense fund, I’ll just have to type them out. The Platinum repair option, described as a “Complete Fuel Delivery System Renovation”, is as follows. Talk about baffling them with baloney. I’m an HVAC contractor and even I’m not sure what half of that means. Nevertheless, I’ll attempt to translate. We’ll replace that $55 gas valve, install a $24 igniter and clean the flame sensor. Modern burners don’t get misaligned. But just in case they do, we’ve got your back! We’ll blow the schmutz out of the vacuum tube. 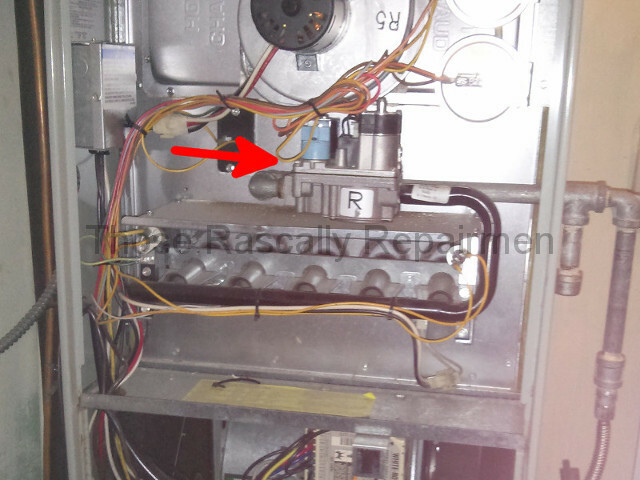 We’ll spend 15 minutes checking and adjusting the gas pressure and air temperature as needed. We’ll spend another 15 minutes cleaning the burners and vacuuming the blower compartment if needed. We’ll come back in a year to perform a make-work check on the furnace so that we may make work by selling you another precious metal repair. You do know the warranty is void if you don’t sign up for a maintenance agreement, don’t you? If you’re unfamiliar with satire, Wiki’s got your back. 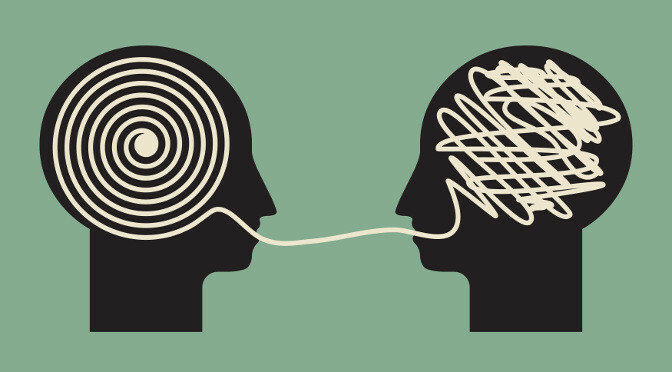 Most of my translation is probably right. Some of it may be wrong. With that kind of insane pricing, does it matter? In my opinion some mega-contractors have become megalomaniacal. Here’s what I did for $645, translation not included or required. The rest of Muridae’s list, whatever it means, wasn’t needed. 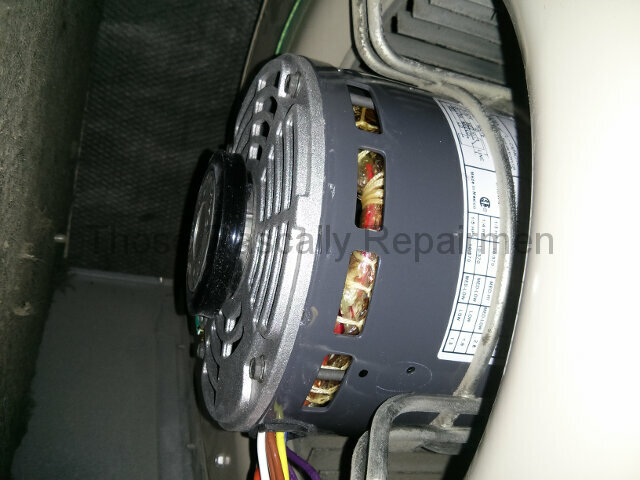 Three months later a different homeowner called Muridae Mechanical because this furnace’s blower motor was going bad. I asked him if he was offered a precious metal repair. He nodded a knowing smile. He didn’t take detailed notes like the previous homeowner, but a $1,200 quote is not something that’s soon forgotten. 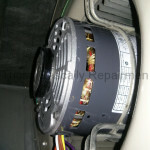 The next day I installed a new motor (pictured below), run capacitor and igniter for $590. With a materials cost of $140 and a repair time of two hours, some people say I’m expensive. When I hear that I just nod a knowing smile. Muridae Mechanical is not a freakishly expensive exception to the reasonably priced mainstream. They are the 3B accredited mainstream.